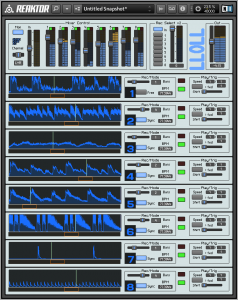 Find Reaktor ensembles I have created and published on the official Native Instruments Reaktor User Library website. A MIDI plugin that not only will remap many different scales on the white keys on the keyboard (from C to C as well, such that you can play all the scales on a small two-octave keyboard). It can also generate a chord from the chosen scale per the hit of just one key, keeping full control over the output velocity of each of the eight ‘fingers’. The chords can also be drawn out in time to create a strum or arpeggio. A distortion effect in which you can draw the saturation graph yourself. 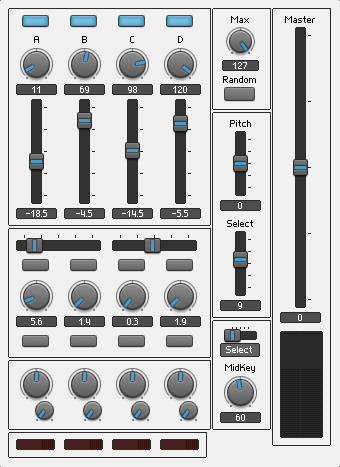 After the saturation there are options for advanced modulation and feedback routing. 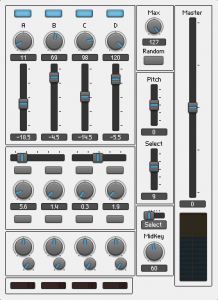 Quite heavy on CPU, but it does transform a sinewave into a rock guitar! A 8-track live looper with mlr-style triggering. Each track can be synced to the host tempo, or choose a new tempo determined from the recording length in free mode. Different tracks can be mixed down into another looper track to make room for more elements. Playback per track can be reversed or even set to 1/2, 3/2, 4/7, etc speeds to create polyrhythmic symphonies. 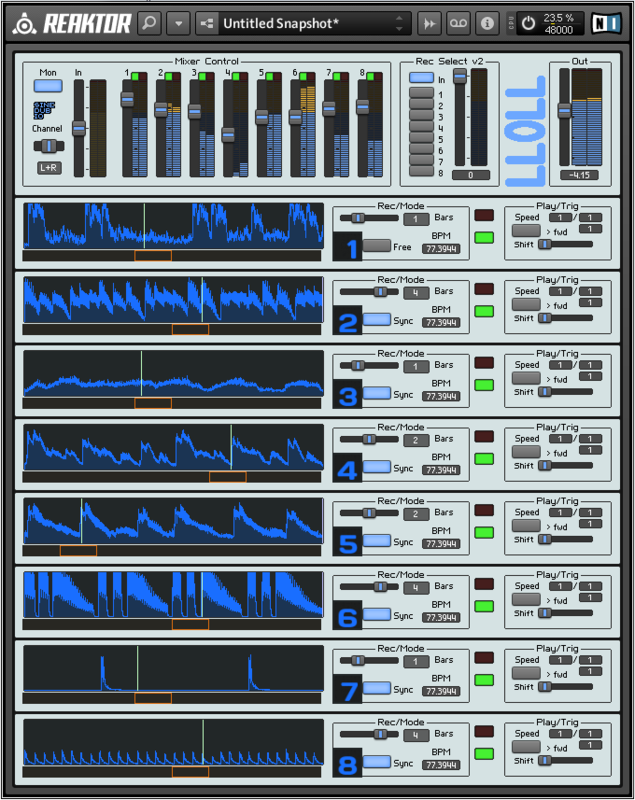 A drum layering sampler adequate for both sound design and live performance. Much like the ‘128 method’, but allows to mix 4 different samples together at different levels, with different EQing, and (micro)delay. A random button allows to generate new combinations everytime.